Stretch, strengthen and shimmy your way to fitness! 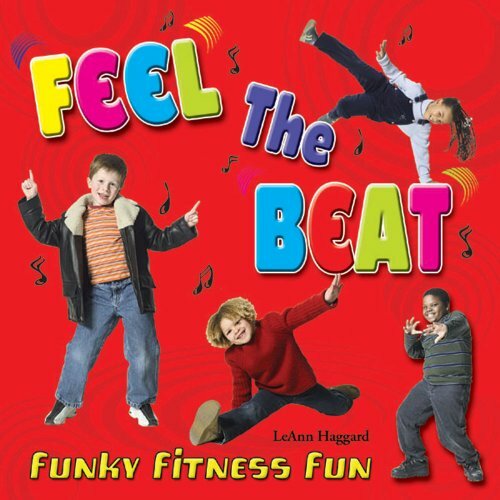 Stimulate your body and your brain with funky, get-fit fun. The progression of warm-up, isolations, circle locomotor movements and the build up to cardio-rhythmic routines, wrapping up with a cool down, will help kids get in shape and stay in shape. This is motivating, "move your feet" music, set to today's diverse beats of Rap, Hip Hop, Latin, African, and even techno club-mix classical! Guide includes instructions, value of each routine, and a vocabulary of rhythmic terms. Choreographed by LeAnn Haggard, 2006 National Dance Teacher of the Year.